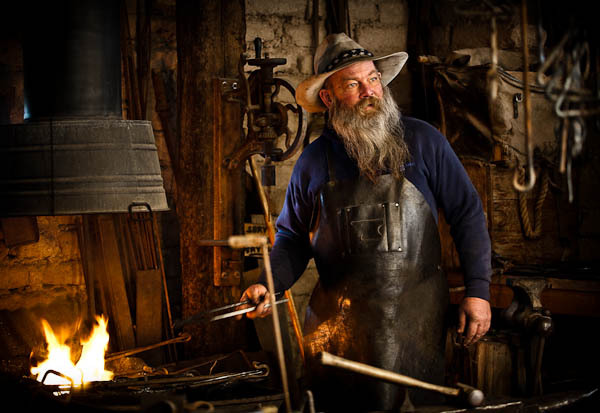 OK Corral Blacksmith, few have held the title, fewer still lived the part, but for Grizz Mace, living in Tombstone Arizona and blacksmithing at the OK Corral has become his passion. Nothing happens by accident as far as I’m concerned, and neither was stumbling upon Grizz Mace at the OK Corral. After seeing a re-enactment of the legendary gunfight and then wandering the grounds, I made my way to the far corner of the property. 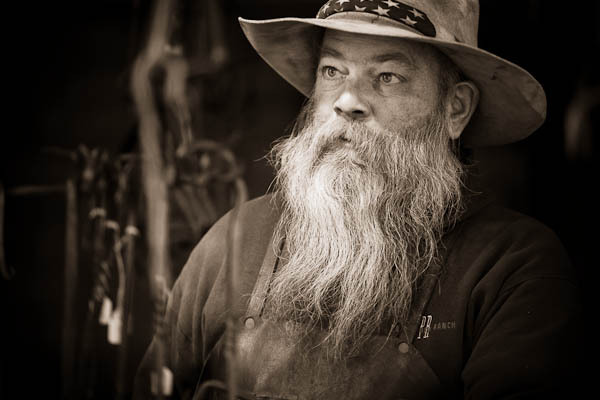 While Darlene took photos of carriages and buggies, I began a conversation. 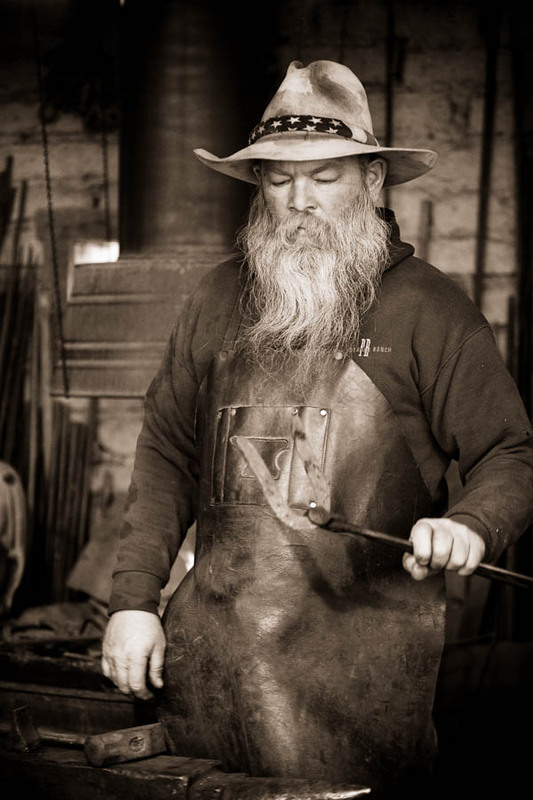 He’s a quiet man, been tending the forge most of his life. Previously at the Ponderosa Ranch, and now at the OK Corral, I learned that his two boys have taken up an interest as well. 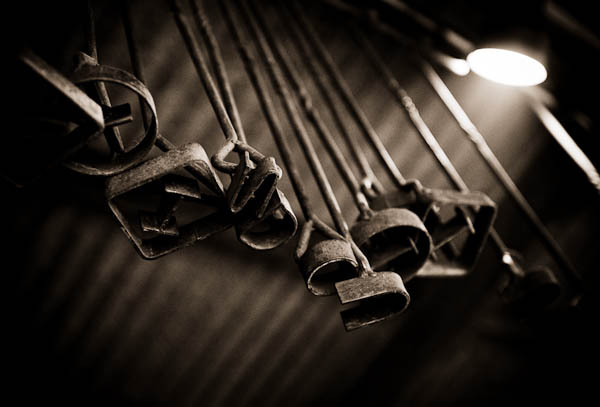 The Mace family run a blacksmithing operation called Mace Family Blacksmithing and can be found bending steel and pounding their anvils at various events around the country. Just before I began filming, Dar had been photographing. She took more during the video too. Lots of great shots. 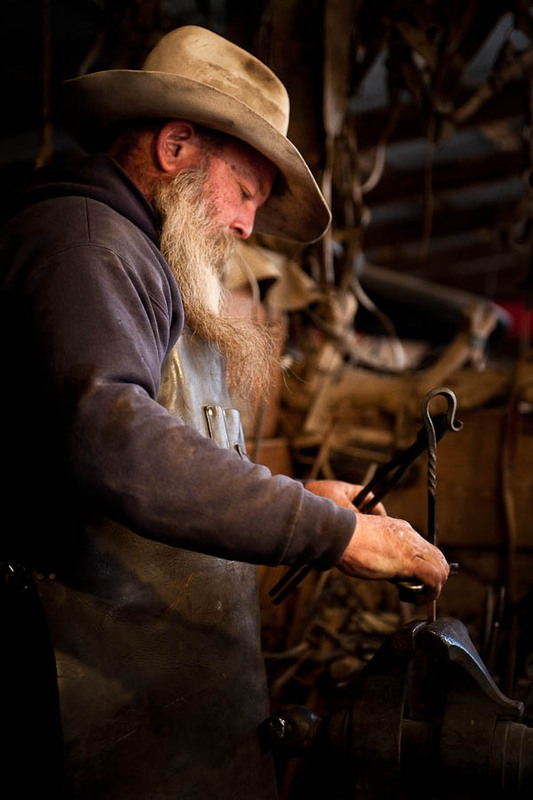 Grizz brings life to the role of OK Corral Blacksmith. I can’t imagine anyone better suited for the part. When you’re in Tombstone, stop over, say hi, tell him you saw this video and buy some of his functional art. 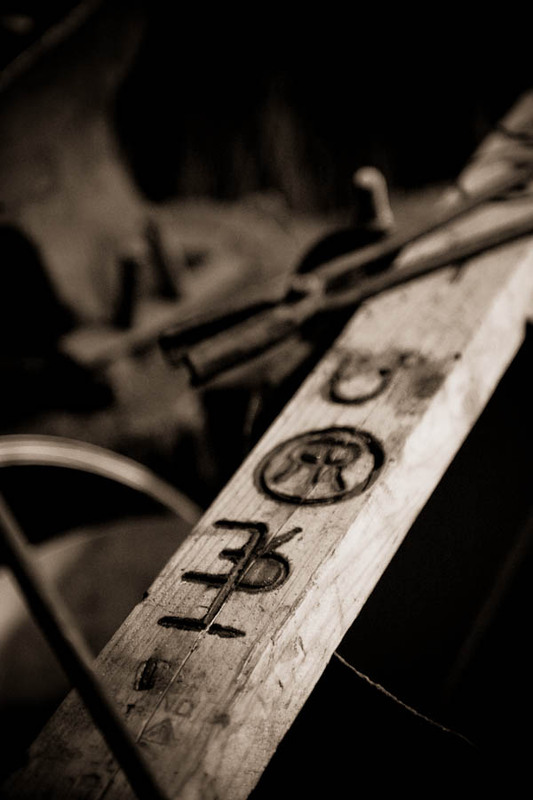 You’ll be taking home a piece of history. For more information regarding the OK Corral, the Historama, tours or the daily re-enactment of the gunfight at the ok corral, visit http://www.ok-corral.com. Doc Holliday Drank Old Overholt Whisky – filmed inside the Crystal Palace Saloon, main street Tombstone. Images in this post are available for purchase on the Her View Photography online gallery at Zenfolio.com.